To demonstrate the concept of mechanical advantage and conservation of energy. Four co-axial pulleys . 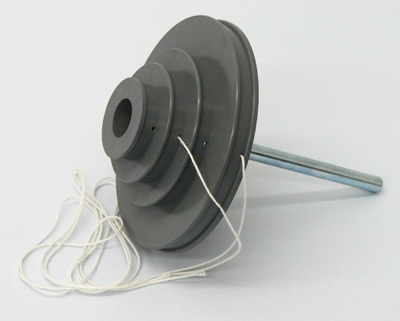 Each pulley has a hole to attach thread. The wheel is mounted to a steel rod.